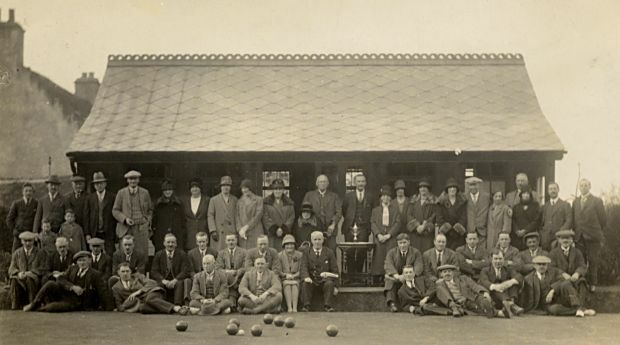 Cromarty Image Library - Cromarty Bowling Club - c1930?? Cromarty Bowling Club - c1930?? Could Matthew Watson (Church Street) be in the second row 6th from right? He left Cromarty for Lowestoft in late 1930sto live with wife's niece Ruby Reynolds as far as I know. He was my uncle. Sorry. Matthew Watson, my great uncle, is in second row 6th from left. His parents were Donald Watson and Martha Reid of 5 and 7 Braehead. Mathew lived at 13/15 Church Street.